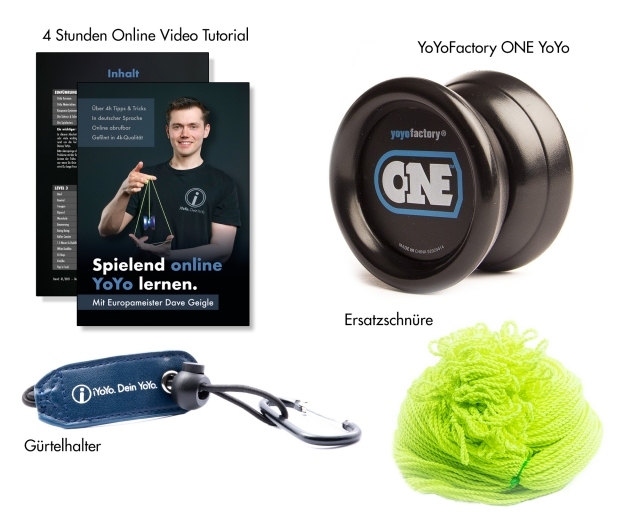 The YoYoFactory ONE is the perfect yoyo for any beginner. It comes with a narrow (high response) and a wide ball bearing (low response), taking you from the basics to the toughest pro tricks. Although it is a very basic yoyo, the ONE is a solid performer. It comes with the same size C ball bearing and silicone response pads as many of YoYoFactory's aluminum pro models do, but at a fraction of the price. The plastic with its grindable structure is well finished; clear, interchangeable side caps allow for customizing this yoyo with your own graphic design.